BC9: BUSHCRAFT TRIP - BELOW FREEZING, CANVAS TENT, SAMI FIRE, REINDEER SKIN, FINNISH AXE etc. It's below freezing and I am enjoying a overnight in a pine forest next to the sea in Denmark. 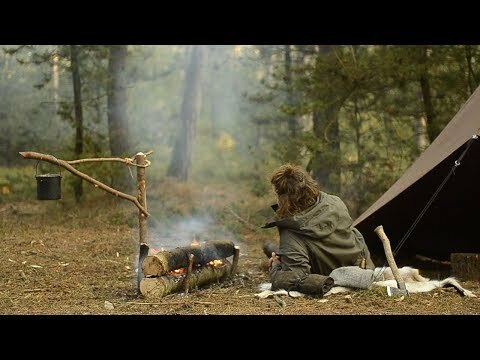 I turn a branch into rope and make a adjustable pot hanger, enjoy some meat and the comfy of reindeer skin and a new canvas tent and jacket. I make to types of "all night fires" a Sami nying and a upside-down-fire.